We’ve got a nice new refurbished Market Hall, and if you’ve been following this site, you may just have noticed. Even though the space has been refurbished, it’s worth remembering that it’s a 17th century building, and brings with it an atmosphere all of its own. Now we have the space however, it’s time to show it off and put it to good use. We’ve already had some bookings to use the venue – an award ceremony and a birthday party, whilst enquires for drinks party, hen parties and wine tasting are currently being discussed. 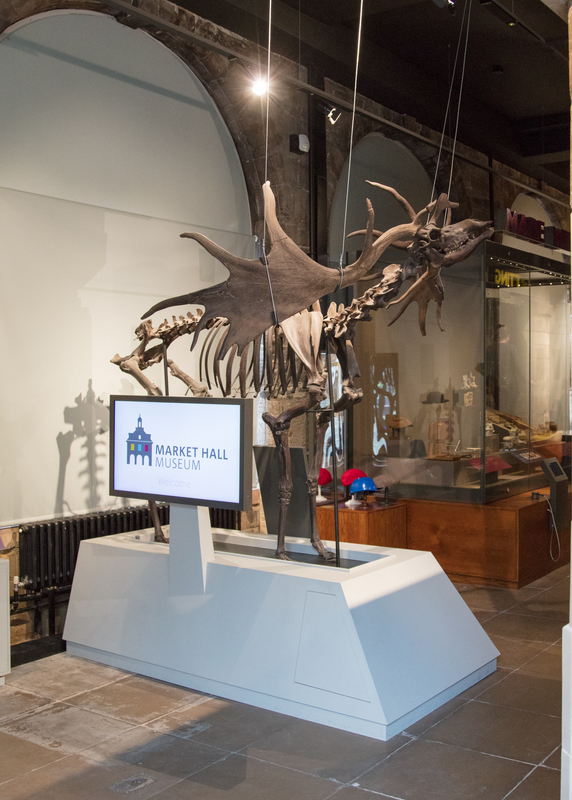 Where else can you host an event alongside an iconic Giant Irish Deer (Oisin), full-size replica of the Wilmcote Plesiosaur skeleton and the Warwickshire Bear? So, if you’d like to hire Market Hall, the chance is there for you to do so! Want to use the space? So if you want to find out how to hire our space, do follow this link and go to the HCW website where more details are available. Now we’ve got the space, it’d be a shame not to show it off as much as possible, don’t you think?